What are the Best Wedding photographers in Marbella! Photography is one of the most important services you will need for your wedding day and choosing the right one can make all the difference! 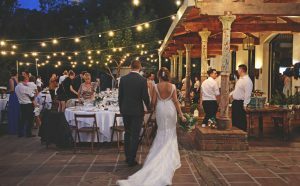 This Marbella Photographers list provides you recommended professional photographers and videographers on the Costa del Sol, hoping you find the style you are looking for your wedding. Our recommended Photographers in Marbella Offers professional photographic services to international families on the Costa del Sol. Our wedding advisor specialist will choose the best wedding photographer as its own wedding, we have looked for natural, beautiful photos, not too modern, not too saturated, not too catchy. Simple and natural photos that don’t look overly posed or overly photoshopped, with these characteristics we have many top wedding photographer in Marbella to choose from (and also more ranking with others photographers), but only a few to make our favorite wedding photographers. Wedding Photography is no easy subject and choose your perfect wedding photographer can be a daunting task, firs at all you need to ask yourself What is your style? This should be your first question. In this list we try to include different style (photojournalists, Art and beauty, contemporary, etc), although our wedding advisor prefers instead you pick a photographer based on their style you just ask yourself if you like the photographer’s portfolio. If photojournalism means they’re not going to take a posed picture of your grandma, that might not work for you. Worry less about what the photographer calls their style, and instead worry more about if their photos speak to you and if their style will work within the real-life context of your wedding. A good photographer should be able to capture every special moment while not dragging you or interrupting special moments with your friends and family. When we search for top wedding photographers we can look at three different aspects remaining the “style” and the way they feel the photography : Art & Beauty, Real Moments and Fun & Playful. As the prestige International association of wedding photographers Fearless define, Art & Beauty Wedding Photography is all about creating unique images that transform wedding photographs into works of wedding art. These photographers use a variety of artistic techniques (light, composition, reflects, etc.) to wow beyond the ordinary. If you look for a photographer who inventive cutting-edge photography to immortalize your wedding day this is your “style”. Real Moments Wedding Photography is all about capturing authentic emotion, natural connections, and unscripted moments of the wedding day. If you are looking for a top photographer with the freedom to document honest feelings and genuine interactions of their family and friends on the wedding day this is your style. Fun & Playful Wedding Photography is all about looking out for the joyous, the outrageous and the delightful aspects of the wedding day. It shows that weddings can be silly and quirky and provide evidence that a very good time was had by all. If you looking for a laughter-filled candid record of their crazy festivities. Can a photographer include these three styles at the same time in a wedding? Of course, yes, although in their portfolio you can see which style he pays more attention and where he puts the focus of his objective. And before hire them you have to consider another important factor to choose your perfect wedding photographer in Marbella, the Value for money/cost. This can often be a deciding factor for a lot of couple but it should not be the basis for your decision. When looking photography pricing, be careful to see what’s included in the package you’re looking at. Things like second shooters, additional hours, albums, and engagement sessions might be specified as extra money. Things like albums and prints can always be ordered later when you’re not facing the burden of paying for a wedding, so if you love someone’s art, but they don’t include as many bells and whistles with their package, better go for the art. High-end prices do not always guarantee the highest quality but likewise, reasonable pricing does not always depict low quality. Your photographer should offer a variety of packages to suit all and should always be flexible with pricing and what is included within each package. Marbella average cost for photography full package including album is 1.500 / 2.000 €, this price can be reduced if the album is not included in the package. Marbella average for a wedding professional video is 1.000 / 1.500 €. when choosing the right wedding photographer and videographer for you, a combination of all of these factors should be used as a basis for your decision. Photography is basically one of the most important decisions you will need to make for your wedding. It’s up to you to choose a good wedding photographer since a unprofessional photographers can ruins your wedding. Our “Marbella Weddings” list of wedding photographers are all based in Marbella area (from Velez Malaga to Tarifa, including Ronda) and they are, without doubt, some of the best professional talented, reputable and reliable wedding photographers. Our wedding photographers list are our top recommendations and however, there some others excellent wedding photographers we do not know, as wedding advisor Marbella Weddings can help to choose, contact or compared the wedding photographer in Marbella. They’re listed by Marbella area (costa del sol), but all of them will travel to witness and perfectly document your wedding. The Top 10 wedding photographer can be changed to consider the new wedding photographs works or awards they get.